This weekend was the first time that it really hit me that it's summer. I spent all day Saturday having a picnic at the beach, Saturday night Carin and I went to watch the bike races and stopped at a music festival, and yesterday I went to Strawberry fest and went on a hike. It just hit me though how little time I have left to soak it all in, and I want to make the most of this summer! I've already crossed some things off, so those few adventures didn't make the cut... like riding out of the top of Carin's Jeep (so fun having people watch in amazement as you cruise by), blasting country music everywhere I go, hitting the beach, going on hikes, making s'mores and having a bonfire, etc. I even booked a fun weekend trip with one of my best friends coming soon, and Summerfest starts this week. I'm especially excited for today in particular because I'm going cliff jumping with my boyfriend at this really cool park a couple hours away. We went hiking there back in February, but it'll be super fun to cliff jump and see the park in the summer. 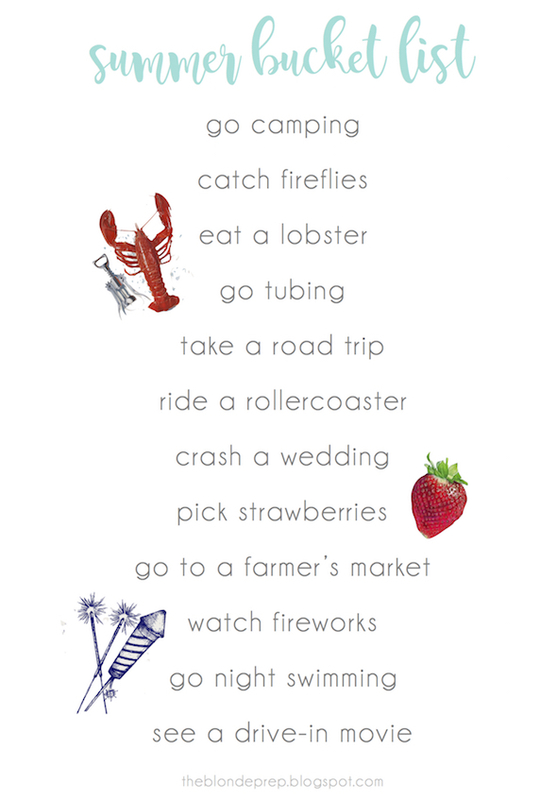 I love reading other people's summer bucket list! I made mine a few weeks ago and can't wait to cross more items off of it! As summer break is the perfect time of learn technologies while relaxing and having fun. Because during the summer break students don't have any additional pressures like sessional examinations, presentations,long college hour and most importantly semester examination.